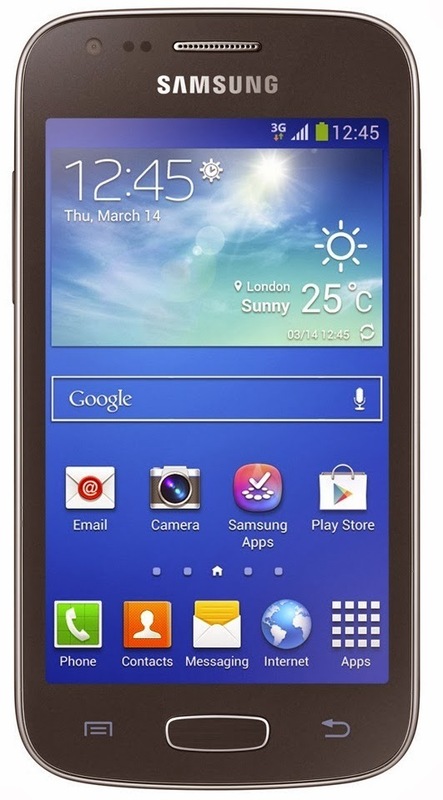 Samsung Galaxy Ace 3 is a successor of Samsung Galaxy Ace and Samsung Galaxy Ace 2. The device was released in June 2013, but is still very popular and my mate recently bought this device. I tried playing with it and I found that the performance in nice, sound is nice and other things. It is a 4.0 inch mobile phone wtih 480 x 800 pixels and 233 PPI Pixels density. Samsung Galaxy Ace 3 has a 4 GB Internal memory along with 1 GB RAM which is quite nice for a device which was launched in mid-2013 at this price. Ace 3 doesn't have a MediaTek chipset, but a Broadcom BCM21664 (3G Model) / Qualcomm MSM8930 Snapdragon 400 (LTE Model). It has a Dual-core 1 GHz Cortex-A9 (3G Model) CPU / Dual-core 1.2 GHz Krait (LTE Model). My friend has LTE model and it is very quick. I haven't used a 3G model, so don't know about the speed of it. The GPU of this device is fine, but the GPU of LTE model is better than the 3G model. It has Broadcom VideoCore IV (3G Model) / Adreno 305 (LTE Model) GPU. I think 3G model users want to root their device to increase the speed of their handset and LTE model users for just fun, I mean ROMs, Kernels etc. There might be your reasons, I am just guessing it. We will be rooting this handset by using Odin (to flash the ClockWorkMod Recovery) and ClockWorkMod Recovery (to flash the rooting toolkit). I hope you know these terms (CWM and Odin), if you don't know then don't worry. I will be explaining the tutorial very well and I hope you will have no problem while rooting your Samsung Galaxy Ace 3. The tutorial is for both Samsung Galaxy Ace 3 LTE GT-s7275 and Samsung Galaxy Ace 3G GT-S7270. Other Ace 3 users don't worry. This guide will work on almost every SG Ace Models (GT-S7270, GT-S7270L, GT-S7272, GT-S7273T, GT-S7275, GT-S7275R), other users may not follow this article because it won't root your device. Only these models are supported: GT-S7270, GT-S7270L, GT-S7272, GT-S7273T, GT-S7275, GT-S7275R. If you will try it on any other Samsung Galaxy Ace 3 variant, then it won't work. Don't try it on any other device except Samsung Galaxy Ace 3. No support will be provided to the users who tried any other thing which is not specified here. Use Odin with very care. It can even lead to bricked Samsung Galaxy Ace 3. Only download things that are mentioned here. Other guides may have different ways. 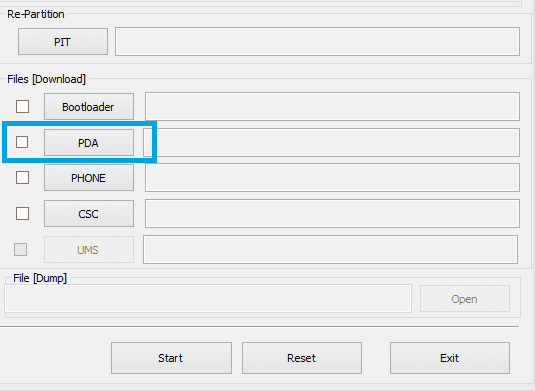 Enable USB Debugging in Samsung Galaxy Ace 3. [Go to Settings, open About phone (which is the last option in the Settings. Tap 7 times on Build Number to enable Developer options. Open the Developer options from the main menu of Settings app and enable it. Also scroll down a bit and enable USB Debugging from here. Samsung Galaxy Ace 3 USB Drivers: USB_Drivers_1.5.27.0.exe. ClockWorkMod Recovery for Samsung Galaxy Ace 3: Non-Touch-CWM / Touch-CWM. ChainFire Rooting Toolkit: Click HERE. Download the Odin package and Samsung Galaxy Ace 3 CWM (touch or non-touch) and extract both of them to a folder on desktop for ease. Install the Samsung Galaxy Ace 3 (Samsung USB Drivers) Drivers on your PC. Run odin3_v3.07.exe file which you extracted. Select PDA button from the Odin tool. Select the .tar file (touch or non touch recovery) from here. Again, make sure that the USB Debugging is enabled. Shut down your device properly and wait for 5 seconds till you see the next step. Press and hold Home + Volume DOWN + Power buttons for some seconds and then press Volume UP from that menu to boot in Download mode. After it is in the Download Mode, you can stop holding the buttons. Press Start button in th Odin to start the flashing procedure. The phone will reboot automatically and will have CWM Recovery in it now! Now we ar ready to root Samsung Galaxy Ace 3! Copy the root.zip file wihch you just downloaded to the root of your SD Card. Press and hold Home + Volume UP + Power buttons for a while to boot your Samsung Galaxy Ace 3 in the CWM Recovery. When it will be in the CWM Recovery, Select Install zip from SDcard option from the CWM Recovery (Power button to select and volume up/down buttons to move up and down in the list), now select choose zip from SDcard option from there and select root.zip file. Confirm the flash by selecting YES option. Now you have rooted your Samsung Galaxy Ace 3 and it has SuperSU Pro installed in it! You can confirm that it is rooted or not by using Root Checker application. If you are facing any kind of error or problems, then report it here by commenting here.